It’s the biggest fluke tournament on the east coast. 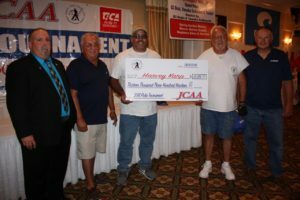 In it’s 23rd year the Jersey Coast Anglers Association is ready to pay-out big time. 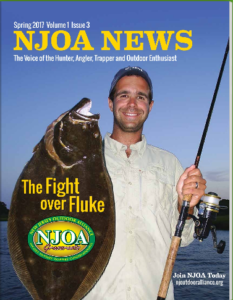 Sign up and get ready to turn flat fish into fat backs. Fishing Hours: Dawn until 5 P.M. To be eligible all fluke must be weighed in at one of the 9 official weigh stations (that you previously selected) starting from 1 P.M. but not later than 5 P.M. and must be accompanied by your official weigh slip affidavit with entry number. Fishing Location: Fish all waters within 20 miles of the New Jersey coast open to the public, including the ocean, bays, inlets and rivers stretching from the Raritan Bay & Hudson River in the north to Delaware Bay in the south. Awards Presentation & Celebration: Thursday, August 10th, 2017 at the Clarion Hotel, Rt. 37E, Toms River, Registrations beginning at 3:00PM and Awards Presentations beginning at 7:00PM. Weigh Slip (Affidavit): Official weigh slip affidavit (fuchsia in color) is mailed to each entrant upon sign-up and for late sign-ups they will be handed out at the weigh stations upon sign-up the day before the tournament. If you have lost your affidavit tell the weighmaster your name. You will be on the port log, but you may encounter a delay in processing.